The Indian government and people have responded to the Chinese use of armed force to adjust the border between their countries with war preparations and reliance upon military means to deal with the foreign threat. The Indian reaction has for many people in the peace movement, and pacifists in particular, been something of a shock. Many of these believe that India has somehow let them down, that she has failed to live up to the moral challenge imposed in different ways both by Gandhi and by the nature of modern war. Posted on 26 November 2015 under History, Theory, WRI/IISG Project. It is widely believed that military combat is the only effective means of struggle in a wide variety of situations of acute conflict. However, there is another whole approach to the waging of social and political conflict. Any proposed substitute for war in the defense of freedom must involve wielding power, confronting and engaging an invader’s military might, and waging effective combat. 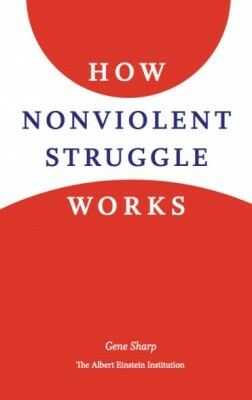 The technique of nonviolent action, although relatively ignored and undeveloped, may be able to meet these requirements, and provide the basis for a defense policy. Posted on 12 November 2015 under History, Strategy & Tactics, WRI/IISG Project. 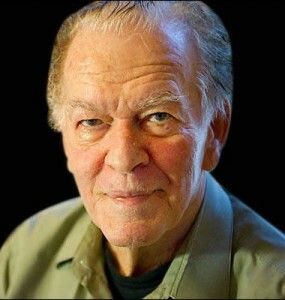 Gene Sharp is perhaps the most influential proponent of nonviolent action alive. His work has served as a how-to manual for activists in a swath of countries across Eastern Europe and Asia. For instance, From Dictatorship to Democracy and The Politics of Nonviolent Action helped inspire the Serbian student movement that toppled Slobodan Milosevic in 2000. 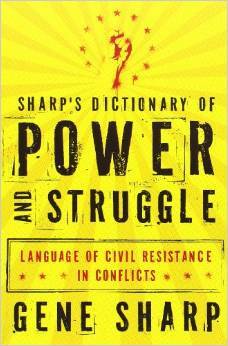 Sharp drafted From Dictatorship to Democracy at the invitation of a Burmese activist. He was smuggled into Burma to assist in courses on nonviolent struggle for those resisting the military regime. He was in Tiananmen Square shortly before the tanks started rolling in. He has traveled to Israel and Palestine a number of times to disseminate his ideas. He was also invited into Latvia, Lithuania, and Estonia, this time by the governments themselves. He consulted with ministers on the nature and requirements of the campaign that they were using to peacefully secede from the Soviet Union. The three governments also used as a guide his book Civilian-Based Defense. The three countries became sovereign with almost no loss of life. Posted on 17 January 2014 under Interviews, Strategy & Tactics. Violence in society and politics, whether in the form of war, terrorism, dictatorship, oppression, usurpation, or genocide, is widely recognized as a grave problem. All the proposals to solve the problem of violence, or particular expressions of it, have been unsuccessful. It is probable that the problem remains unsolved because such proposals have been based on inadequate understandings of its nature. Without understanding a problem, it is difficult, if not impossible, to solve it. The objective of this essay is to explore a different perspective on the nature of the problem of widespread violence in society and politics that suggests what will be required for its resolution. Posted on 23 April 2012 under Strategy & Tactics, Theory.